I knew the transition back to work would be difficult, especially since I was able to take an entire year off after having Remy. But if I have to be honest with you, it has been a lot harder than I could have imagined. 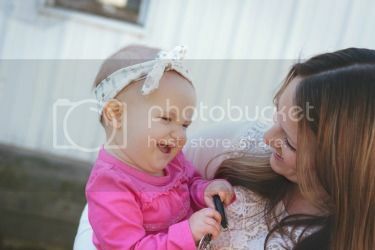 I'm sure there are many factors that go into this like a third child, a kiddo in Kindergarten and the two small businesses I am trying to run on my "free time." But I have been trying to figure out the balance these last two months and ways to manage the chaos in my life. While I haven't quite figured it all out obviously, I have found some things that make my time more manageable. One of the biggest time savers has been meal planning and prepping for the week ahead. My mornings and evenings are by far the busiest times of the day. I usually start the day off around 5:30 with a quick run on the treadmill or workout in my basement so I can make sure I am done getting ready for the day by 7:00. Kurtis and I tag team getting the kids around and I leave the house no later than 7:30. As you can imagine there is not a whole lot of time in the mornings, especially to get things like breakfast and lunch packed. I started prepping my breakfasts on Sunday so they are set and ready to grab on my way out the door all week long. The key here being grab-and-go. 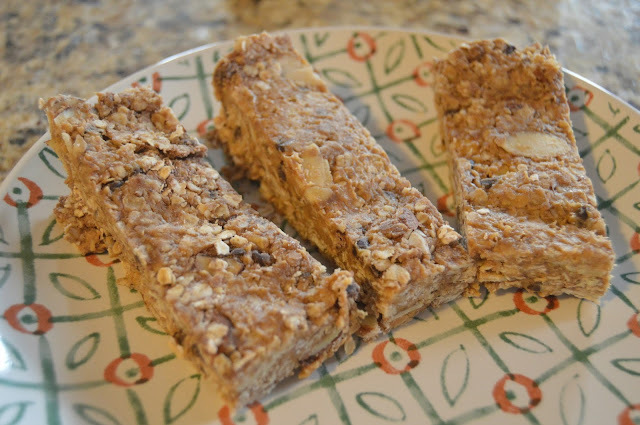 I recently tried this simple recipe for homemade granola bars because grabbing a box at the store every week was getting expensive. After tweaking it a bit I found one that is super tasty and makes a batch that is perfect to freeze and store for at least two weeks ahead. 1. 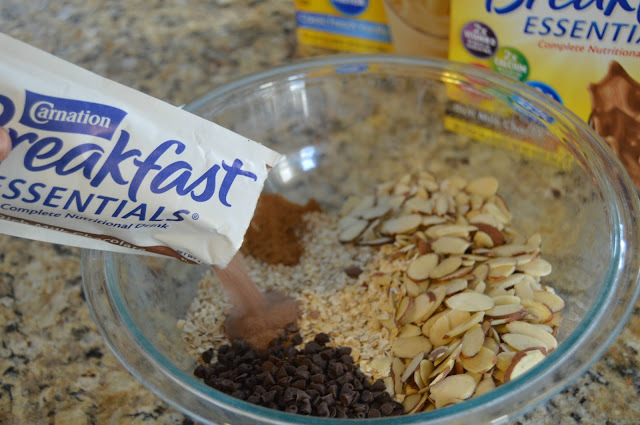 In a bowl, combine the dry ingredients -- oats, almonds, chocolate chips, cinnamon, salt and Carnation Breakfast Essentials packet. 2. 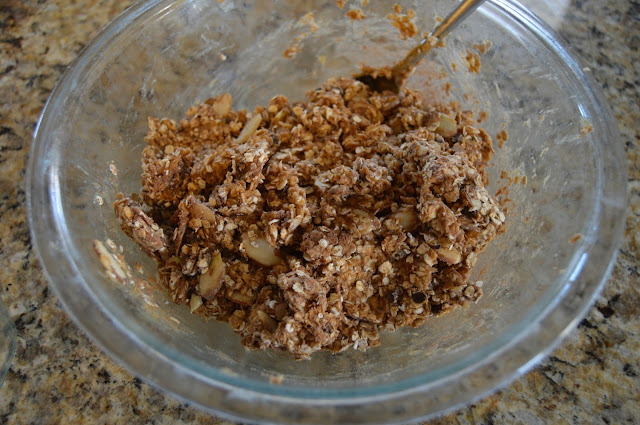 Whisk together the wet ingredients in another bowl - honey, vanilla and peanut butter. 3. 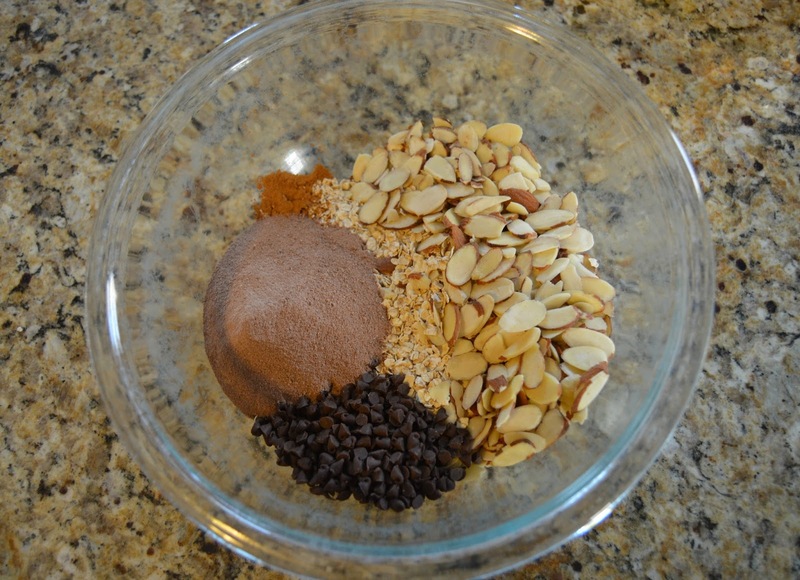 Pour the liquid mixture into the bowl with the dry mixture and combine it together evenly. The mixture will be sticky but make sure all of the dry mixture has been covered. 4. 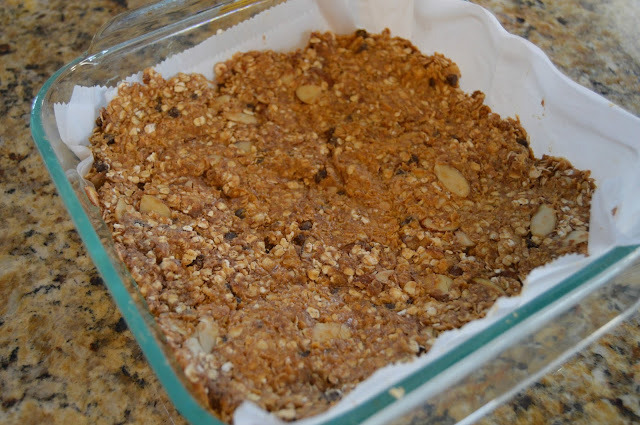 Line your square pan with parchment paper. Then, pour your mixture into your pan and pack it down firmly. 5. Cover and refrigerate at least an hour before cutting up the bars. Since each batch can make around 12 bars, I wrap up the bars after I have cut them and freeze them for the following two weeks for breakfast. Normally I won't eat breakfast until I get to school. Therefore I can let the bar defrost on my way into work and they usually are perfect by the time I'm ready to eat one. 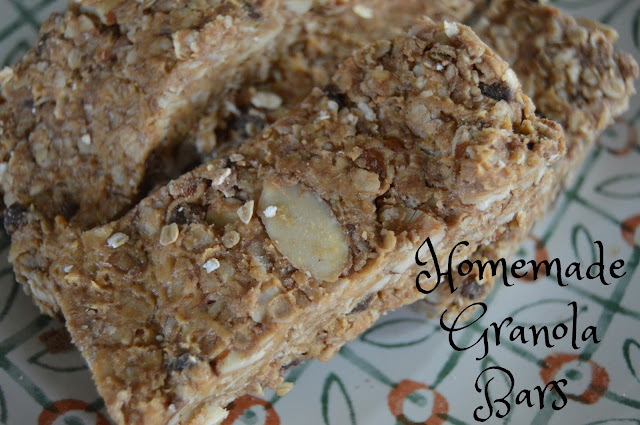 These granola bars have been a huge time saver in our busy schedule. 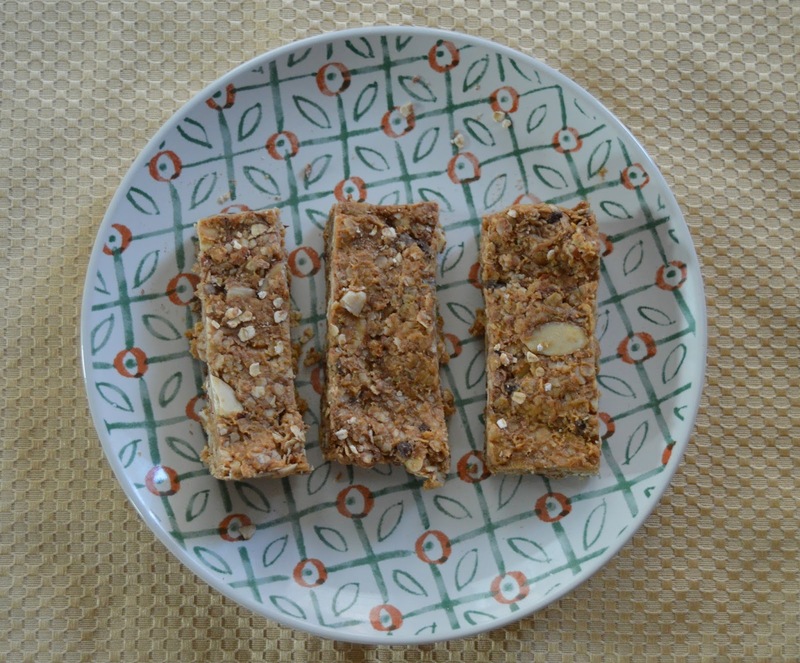 I have never been a huge breakfast eater so the granola bars have been perfect for my morning appetite, especially when you consider how breakfast is the most important meal of the day. 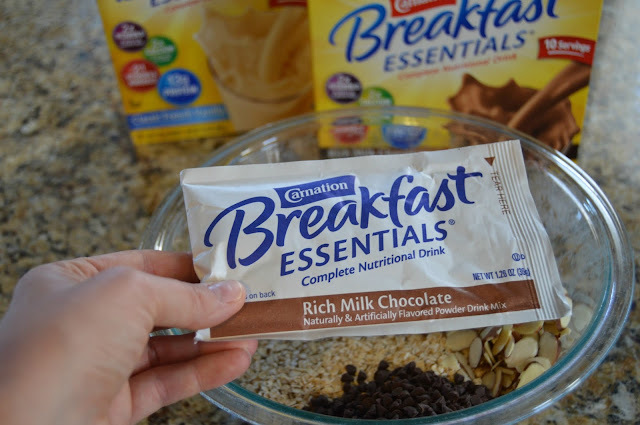 Adding the Carnation Breakfast Essentials was an easy choice for this recipe too because I know my family (and myself) are getting the nutrients we need to start our mornings off right. The powder is perfect to use in recipes or even when time is short, you can quickly add Carnation Breakfast Essentials to milk for breakfast-on-the-go! 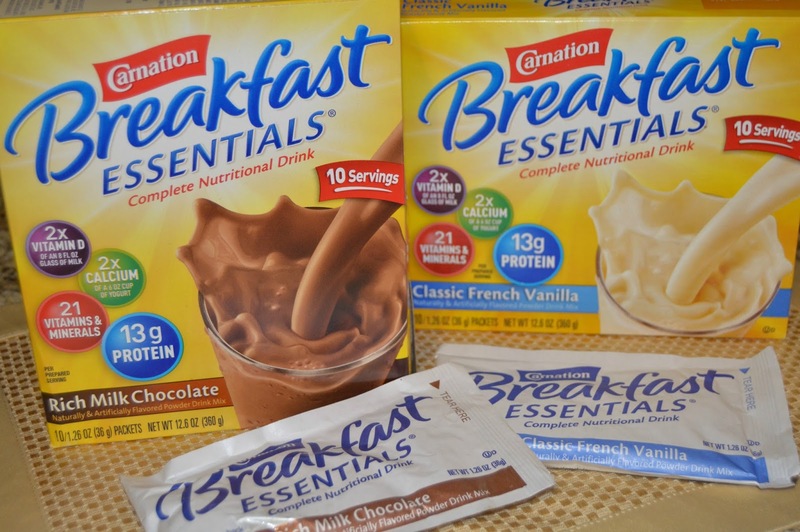 Lately I have been stocking up on a variety of flavors because it is a perfect pantry filler and a family favorite, especially for breakfast. This whole back to work-life balance has been hard. But I'm slowly catching on and getting back into the swing of things. It's all about balance and finding the things, like meal prep and simple recipes, that make life just a little less chaotic. Plus, they say things get easier after time anyways, right? How do you manage a crazy schedule but still fit in a good breakfast? I'd love to hear some recipes too!